Today was a good day. Part of it even felt normal--dishes, diapers, laundry, visiting teaching, errands, etc. I've kept it together pretty well for the most part. I've thought a lot about what could happen with this baby. The Dr we met with Monday said there was a good chance the baby could die anytime. It is possible it could be born alive but the chances of it surviving for more than a few hours is slim. I absolutely believe in miracles, that this little one could survive, that he could even be completely healed. However, I have had some time to think and pray about things, I feel as if this baby's only purpose in this life is to get a body. So for now that is what I'm praying for. That he will be able to continue to grow and when he's still strong enough be delivered alive and able to be given a name and a blessing. I feel like given all he's overcome, being able to beat the odds and survive to 20 weeks, he's a little fighter and wants to come to earth, even if it's only for such a short time. I've never been more grateful for all the entertainment these kids provide me with. There is a lot of laughter in this house. 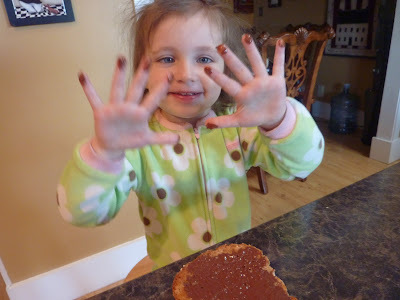 This morning Janie wanted Nutella on her toast and then rather than eating it, played with it. She told me she was a puppy and turned her fingers into puppy fingerprints. It cracked me up, but was probably only funny to her mother. 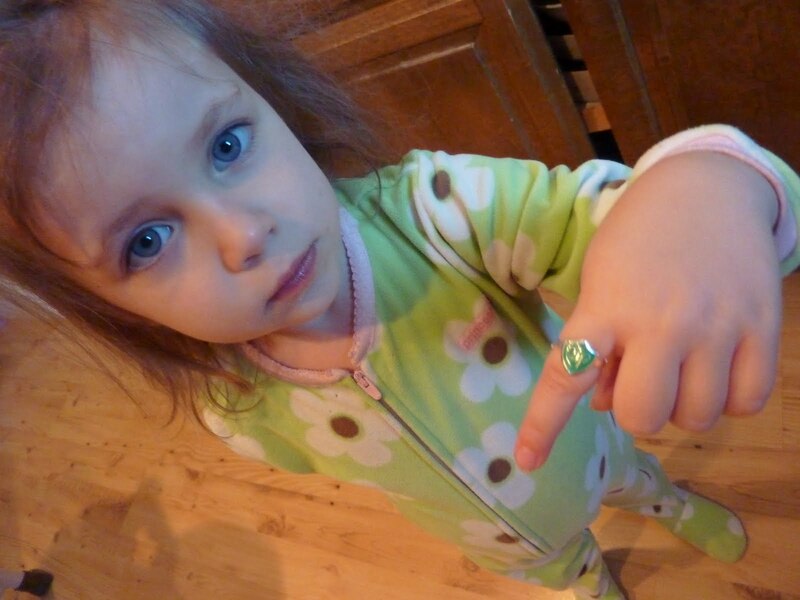 Then she showed me her new CTR ring she got in her new Primary class Sunday. She refers to it as her football ring?? ?